Blizzard Entertainment is working hard to remove the toxicity in the game of Overwatch which has been an elusive thing for so long. Players sometimes get really annoyed when they are suddenly banned for no reason. Apparently, there is a reason why they got banned in the first place. The players possibly used abusive language, abused their hero’s skills repeatedly annoying other players and spoiling the game. Eventually, they get reported by one or multiple players in a match leading to a warning, temporary ban or permanent disable on their account. The judgment is based on how serious the issue is. However, when players never get any kind of warning or prior notice they never know what is going with their account all of a sudden. The development team behind Overwatch has confirmed that they plan to roll out in-game notifications to players before a ban is initiated. If they have been reported once or so, they will receive the notification. This will help legitimate players stop abusing others and continue focusing on the game. They have the opportunity to change their behavior so as to not get banned for a period of time. However, if the issue is too serious they will be banned immediately without any notice, confirmed the latest Overwatch Patch notes. The best and chilly seasonal content for the game has officially launched.Winter Wonderland 2017 has added a new game mode titled Yeti hunt. Mei’s Snowball Offensive which will play an important role because five Mei players will have to go against a single Yeti Winston. They have to hunt him down to win the game. The concept is very similar to Evolve. Multiple new skins have also been launched giving players some great moments and new skins to try out. 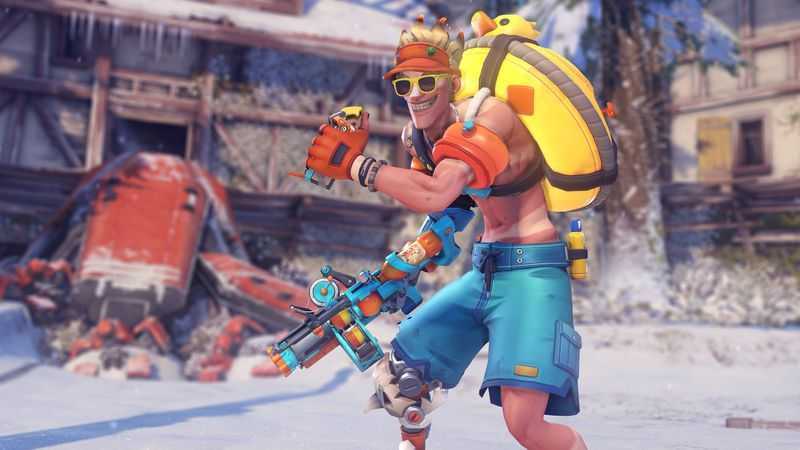 Rudolph Roadhog, Nutcracker Zenyatta and Jingle Tracker are some of the skins that are coming back from 2016 but there are many new, quirky ones including the most wanted Hipster Hanzo inspired by the comics. Other legendary skins are made available for Soldier 76, Sombra, Junkrat, Roadhog, Bastion and Ana. The legendary skins are priced at 1000 credits each while Epic, Rare and Common costs vary from 250 to 25 credits. Both 2016 and 2017 skins are affordable right now except for the special legendary editions. Overwatch Winter Wonderland 2017 has already commenced and you should be able to download the skins on all platforms right now. It is available on PlayStation 4, Xbox One and PC.